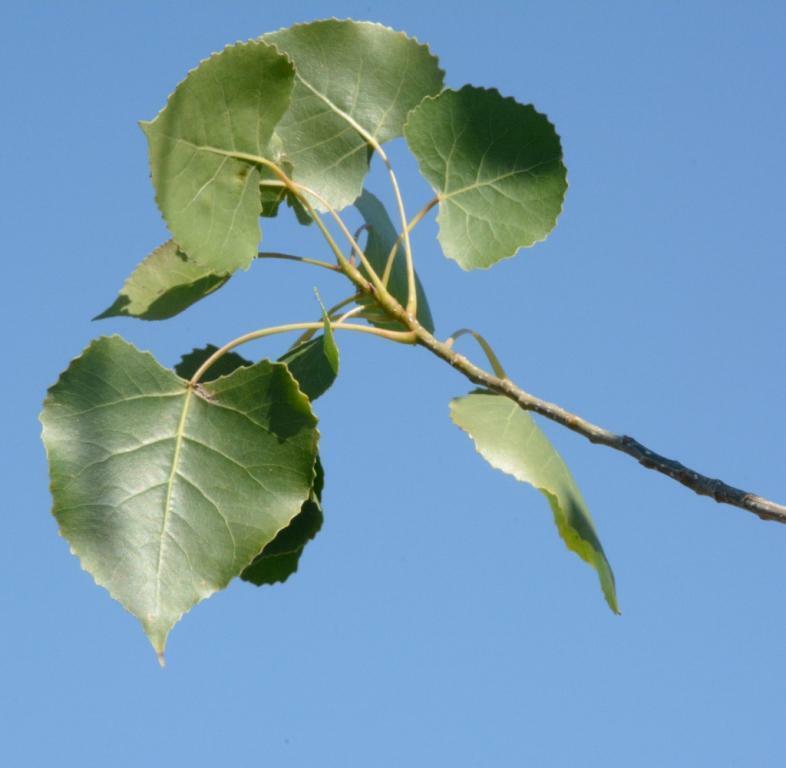 The eastern cottonwood tree (Populus deltoides) is in the willow family (Salicaceae). It is one of the largest and fastest growing hardwood trees in North America. It grows throughout the eastern, central, and southern United States, parts of southern Canada, and northeastern Mexico. Cottonwoods are not long-lived trees---70 to 100 years is typical. The mature eastern cottonwood grows to a height of 65-130 ft. (20-40 m). The bark is silvery-white, smooth, or lightly fissured when young, becoming darker gray and deeply fissured on older trees. The leaves are large and deltoid (triangular) in shape with a more or less flattened base and long petiole. The margin of the leaf is coarsely toothed with the teeth curved. 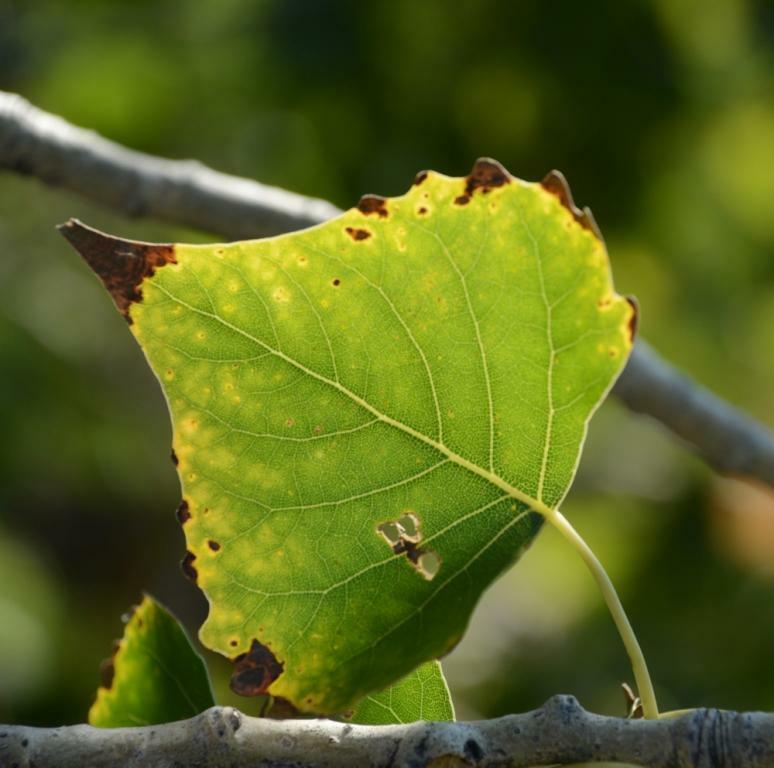 The leaves are dark green in the summer, turning yellow in the fall, but many cottonwoods in dry locations drop their leaves early from a combination of drought and leaf rust, providing a dull brown fall color. Due to the flatness of the leaf petioles, leaves have the tendency to shake from the slightest breeze causing a rustling sound. Most botanists currently recognize three subspecies of eastern cottonwood, all of which are native to Texas, and all of which we now have on the Sibley campus. Distinguishing between the three subspecies of eastern cottonwood requires a discerning eye. Several characteristics need to be taken into consideration for accurate field identification, but for simplicity, the focus of this writing will be restricted to the leaves. But consideration of only one structure (and the most variable of structures) leaves a greater margin for error. Leaf bud scales are smooth; leaf blades have two or more prominent glands on the upper surface where the petiole attaches to the blade. Leaf is thick, upper surface is light green, smooth, and shiny; lower surface paler and also smooth with conspicuous primary veins; the petiole is smooth and flattened. The apex (tip) of the leaf is abruptly pointed. The margin of the leaf is crenate-serrate (teeth rounded to pointed) and has 10-20 teeth on each side. Leaf bud scales are slightly hairy; leaf blades with smaller glands than P. d. deltoides. Young leaves slightly hairy at first and becoming smooth at maturity. Leaves are shiny light green to yellowish green, the veins are slender and delicate. The petiole is laterally flattened. The apex of the leaf is long-pointed. The leaf margin is crenate-serrate with no more than 10 teeth on each side. Leaf bud scales slightly hairy; leaf blades with small glands. Mature leaves and petioles smooth. Leaf surface yellowish green, shiny, smooth; leaf veins are delicate, yellowish, and reticulated (forming a network). The petiole is laterally flattened. 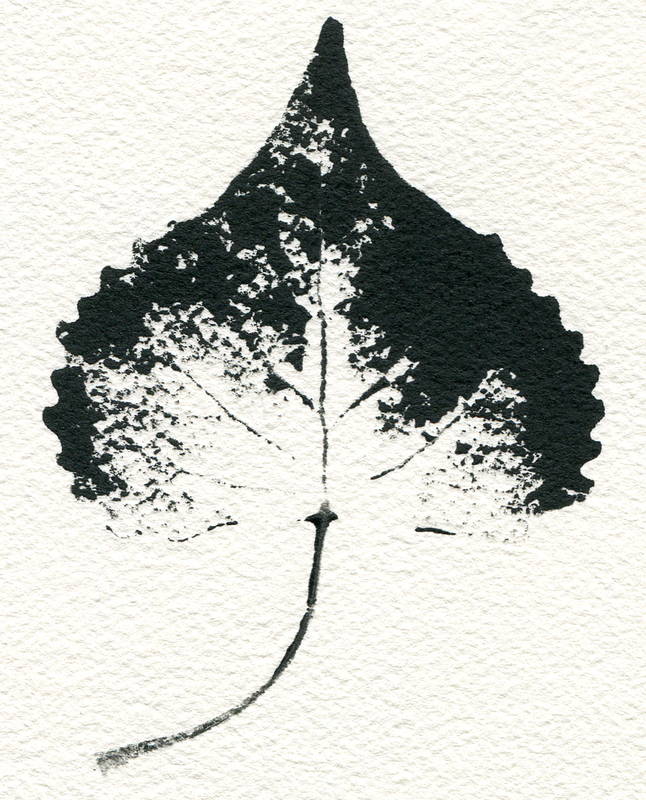 The apex of the leaf can vary from abruptly pointed to long-pointed. The leaf margin is coarsely crenate except at the apex and no more than 10 teeth on each side. Sibley has planted two new eastern cottonwood trees on the south and east sides near the end of the acequia. Our thanks is extended to the missionaries of the Church of Jesus Christ of Latter Day Saints for their spirit of volunteerism in planting our new trees and for the many other ways they have donated their time and talents.